Summer has started to show signs that fall is comming soon. Todays Charter started in the 70,s. It was a welcome change to throw the cast net and not break into a sweat. The fish seem to know that winter is only a few months away, but for now the weather is great and there are lot of fish chasing bait. Bait has grown up from the summer time small fry, net hangers, christmas tree size we had been picking out of the nets. Spanish Mackrel,Trout, Bluefish, ladyfish, and jacks are feeding on the grass beds. Several sharks have been hooked off the back of the boat while anglers are fishing off the front. 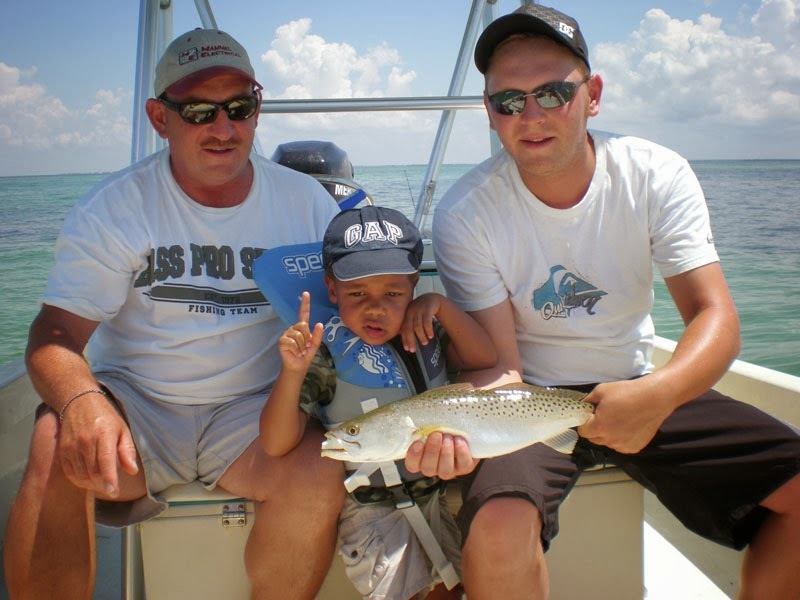 Anyway you look at it, now is a great time of year to fish the back bay around Sanibel.